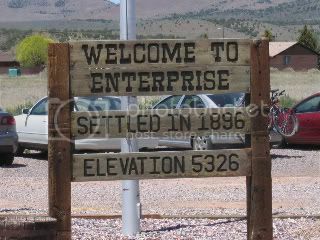 Enterprise is a charming, rural community, located north of St. George. Residents love the wide-open spaces and variety of outdoor activities available to them. Home to 1600 residents as of 2008, Enterprise has stayed true to its late-nineteenth century roots as an agricultural community. Today it’s predominate crops are alfalfa, corn and potatoes. Two reservoirs, one on either side of town, provide a wide range of outdoor activities including fishing, camping and hunting.